We spent our first anniversary in Bath. The flowers were blooming and it was beautiful. 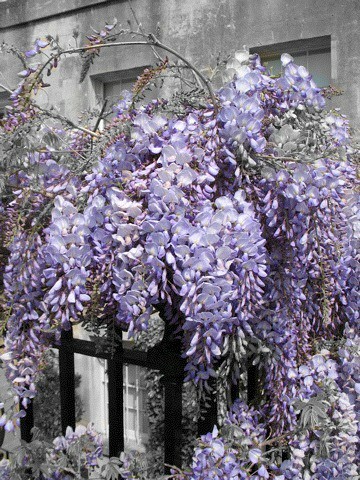 I took this picture of wisteria on the Royal Crescent. It was my least successful ColorSplashing attempt, especially in print, but I didn't want to leave it out of the calendar.